The GIMP has been a poster child for the open source movement ever since it came out. 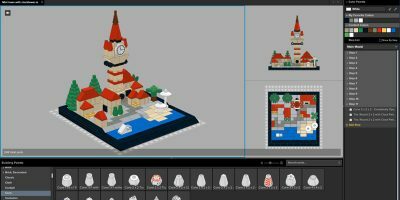 It has been compared to Photoshop and has often been spoken of as the only worthy open source contender in the graphics editor category. While that statement may or may not be true, it is definitely a rival to photoshop when it comes to complexity. And I’m not the only one who thinks that the GIMP is complex. Apparently the Ubuntu development team also thinks the same way and have removed GIMP from their default distribution. It is still available in the online repository but the Ubuntu 10.04 CD will not ship with GIMP on it. The point is that with all that power comes complexity and GIMP is definitely not a tool for casual users. 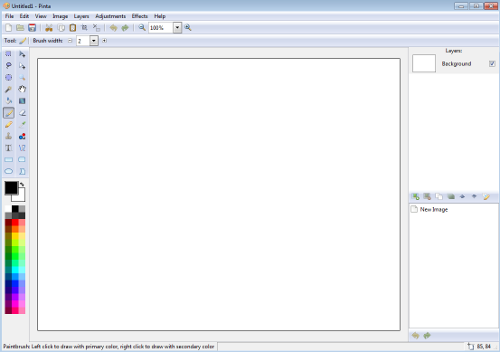 So, what are your options if you’re casual user who just wants to edit a few images here and there and isn’t really interested in all the power that GIMP offers but would rather have a light weight but functional editor. 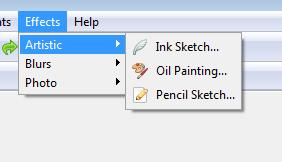 If you’ve used Paint.NET for Windows that we’ve talked about earlier, you’d be right at home in Pinta too. 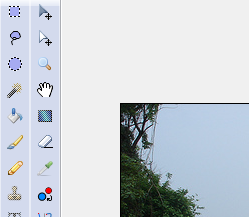 Pinta is a GTK based image editor modeled after Paint.NET but because it has been created using the GTK# library, it is available for all the three major platforms, Windows, OS X and Linux. If you’re using Linux, you most likely already have GTK installed, if not, install it before you download Pinta. For platforms that require you to install GTK, the download page provides a link for you to download the GTK# library easily. Installation is quick and simple and the first time you launch Pinta and if you’re used to waiting for GIMP or Photoshop to load, you’ll be pleasantly surprised because Pinta opens up in a snap. I don’t know about you but I took an instant liking to the neat and clean interface of Pinta that sports all the regular tools and features that we’ve come to expect of image editors in general. Pinta provides for unlimited levels on undo/redo, has support for multiple layers and comes with all the regular drawing tools such as a paintbrush, pencil, eraser and a selection tool. If you, like me, are a fan of the filters that come bundled with the Gimp, you might be a little disappointed, though. Pinta does come bundled with some filters but the number pales in comparison to what you get with The GIMP. The current version of Pinta as of this writing is version 0.2 but I definitely felt that it was much more stable than what the version number would imply. The only thing I’d want the developers to work on is the speed of various operations and adding some more Effects to the base install. Pinta, in my opinion, can definitely fill the gap that exists between Photo organizing software such as F-Spot and Picasa and full blown graphics editors such as The Gimp. Give it a try and let us know what you think. It is misleading to say that this is a GTK app. It installs Mono when you install it. That is important for many users like me who will not use Mono applications. Installing Pinta drags in Mono, a poisonous platform meant to help Microsoft co-opt free software. According to Microsoft's own words, “every line of code that is written to our specifications is a small victory.” No thanks. Unlike previous comments, for me Mono is not such important. Between photo organizers and Gimp are my needs. Those needs, in my case are, one agile, light photo viewer and one medium-powered photo editor. My needs nowadays are met by 'Eye of Gnome' and 'Pinta'. While both applications are very useful, I think they still have room for improvement. That's because Paint.NET is written in… you guessed it, .NET, and Pinta is — for a large part — written in Mono, which is… you guessed it, .NET. gThumb 2.11.2.1 meets most needs, thank you. If you are looking for a non-Mono GIMP alternative, try Krita. Correct me if I'm wrong, but installing this app which is based on GTK# which basically means you have to install mono. Is Pinta developed with Mono, as part of the GTK# toolset? If so it is unlikely that I and the school project with which I am working would use it. Representatives from the Software Freedom Law Center in NYC have expressed grave concerns about the use of Mono of any .NET derived software in Free/Open Source Software (FOSS) projects, due to the very real (and legally strong) possibility of Microsoft patent claims. The author should also recommend consideration of Krita, which is KDE/QT4 based, and is available for Windows as well as Linux, although still in “beta” stage. I don't use Mono because it's Microsoft and I love myself more than I love trying new software. Also it's 50 megs of library crap, and we all know GIMP is serious business. It requires Mono… A trojan horse Microsoft is trying to sneak into Linux. Why contaminate my desktop with Mono when I have purge and better alternatives like Gimp (With new interface soon to come) and Krita? Well, I understand the strong sentiments that people have about Mono being a Microsoft product but I really don't see the reason. .Net is a language and the standards have been released by Microsoft. Mono is an implementation of those standards. It's like saying you won't use a Borland C++ compiler because it is Borland's implementation of C++. And yes, there are other alternatives like Krita but I've never really liked it. I'm a GNOME guy for the most part but if Krita is better, I'll definitely look at it. When I see the ongoing, never-ending debate regarding Mono and GTK#, I can't help but suspect that those who complain the loudest are a small, but incredibly vocal minority. anti-Mono blogs and columns in great numbers if you search for them. of IP violation when they won't specify what we are violating. missing anything. I am typical of many Linux users and not the exception. Some people do not care about licenses. Windows users see many EULAs. but he was doing this long before Novell signed with Microsoft. ensure that Linux is viable and strong. That means no Mono. Canada and other countries that do not recognise them. There is a battle going on that most people are not even aware of. allows Microsoft to spread its FUD and weaken our position. GNOME. Little or none has come from Windows or been ported to Windows. In other words, there are no demonstrable benefits. to see a threat before it hits me. Hi, I was just wondering if there are any black people posting in here ? I can see many comments that relate to what black people would type on their fried chicken laptops. I've found Paint.Net on XP to be fast, intuitive & stable (I love it!) – as opposed to the GIMP and Adobe Photoshop which for me have been bloated, slow, buggy and unintuitive. After switching to Mac a year ago I couldn't believe there wasn't any thing nearly as good. I ended up running a TinyXP VM just for Paint.Net. Then I found the Pinta project! Version 0.2 wasn't really functional enough for me to use, but at first glance 0.3 looks excellent – very fast! & fully featured. As an end user of this software I don't really care at all about the .net / mono debate – I'm just happy that there's finally something as good as Paint.Net on Mac. Go Pinta go!